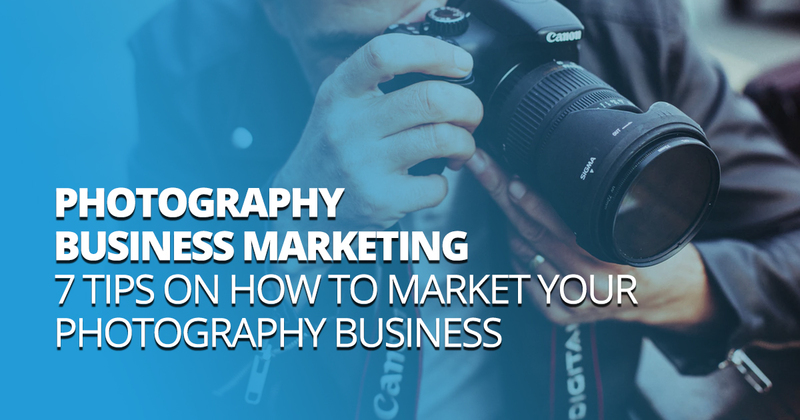 Many people who have a passion for photography want to turn it into a business. Here are 7 excellent marketing ideas that will help you get started so your passion for pictures turns into profit. Photography is a wonderful hobby that’s more popular than ever with today’s digital technology. But even with everyone snapping selfies on their phones, professional photographers and videographers can still find profitable business niches. The key, of course, is to offer something beyond what can be done with a phone camera and Instagram filters – which is not easy. Today’s amateurs can create photos that a decade ago were out of the range of most professionals. Having a niche and a great reputation are the keys to making it in professional photography. Here’s a breakdown of tips, ideas, and strategies that will get you started. A well-designed website is critical to the success of a photography business. It’s the first way people will reach you, and it serves as a gallery of your work. Given that your business is based on images, it’s not much of stretch to realize how important your website is. First and foremost, it’s a gallery. If you use stock photos on your photography website…don’t go into professional photography. That’s like a chef catering an event with McDonald’s. Make sure your website is clear about where you are and where you’ll travel for gigs (people usually hire local photographers). Also, make sure any specials or introductory offers stand-out. Make sure you have a clear call to action so people can call or fill out an inquiry form. It should always be easy to find your contact info. Your gallery of work’s first impression is tied to your website design, so don’t go for second best here. Your website doesn’t have to be super complex, but it must look sharp and professional. All of the professional photographers we market for have a niche. This gives them a competitive advantage and a basis for their unique sales proposition. Today when someone is planning a wedding, they want a photographer who specializes in weddings. If they have a newborn, they want a baby photographer. 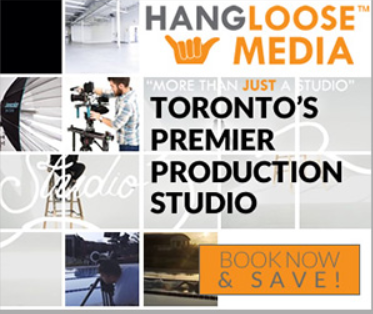 Professional headshots, drone photography, video production, real estate photography and boudoir are also popular niches. One reason niches are so important is because photography is so much easier today. Everyone, in a sense, is photography generalist. Phone snapshots are ho-hum. When people search for a photography service, they’re looking for something they can’t do themselves. They want to see a gallery of expert level work. They also want to know the photographer has a rapport with their subjects that draws out the special, unique expressions that make professional photography valuable. Develop a portrait specialty. Become known as the go-to photographer for a certain type of photography. That specialization will be the basis for your marketing content, website, and referrals. 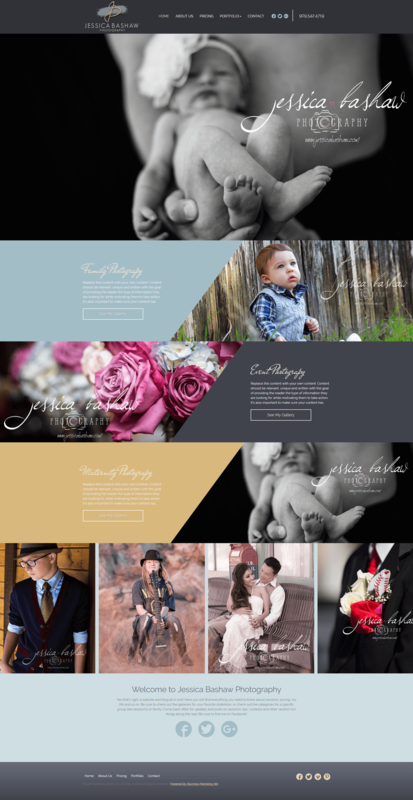 Read a case study on the impact of a niche photography website. Another reason it pays to have a niche is that it makes it easier to rank on searches. 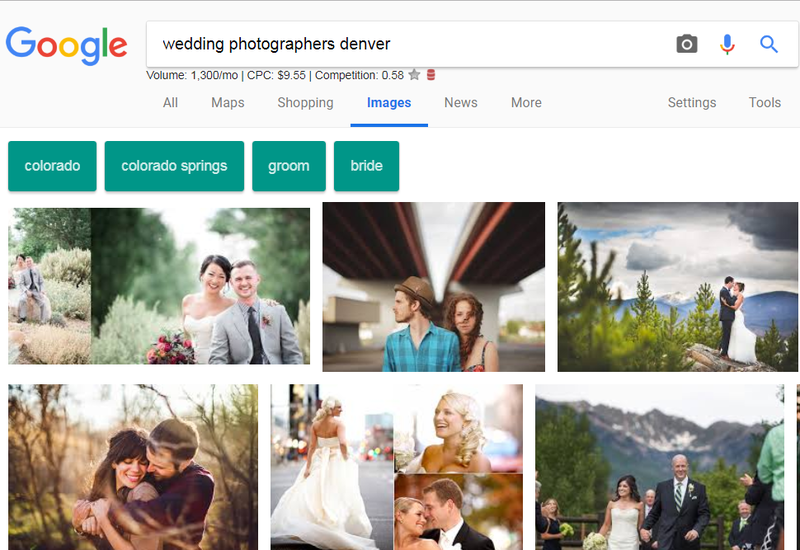 Trying to rank for general photography terms will be difficult, but ranking for something like “wedding photography Denver” is more viable. There are three places you can show up on search results pages, and each has value in its own way. The first is pay-per-click advertising. These ads are run through auction-based systems like Google Adwords and Bing Ads. The main advantage here is that you show in the top positions (reserved for paid ads) and that you can control the ad copy and landing page. For example, you might want to run an advertisement for graduation photography. Your ad and the page it goes to on your website can match that offer. If you don’t have a physical address for your business, either use your home address or set up a PO Box. To rank for these searches, it’s helpful if Google knows where your business is located. With photography searches, you definitely want to rank for images on search results. You can optimize your images for target keywords and have them link back to your website. This is an opening to your gallery, and also puts you into a comparison space with your competition. Optimize your images by using the keyword phrase in the picture title and alt tag. Videographers can do the same thing on YouTube. Create a YouTube channel, and post some of your work. Optimize the video for keyword searches and you have another chance to display your work to prospective clients. Most people who surf sites looking for services don’t convert on the first visit. 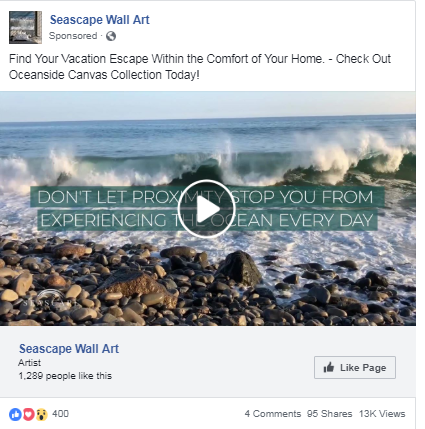 To keep your brand name in front of these leads as they move through their decision-making process, use retargeting ads. Keep the ads simple with a strong call to action. Get tips on how to design retargeting ads. Photography businesses have a particularly good opportunity to use social media to market their services, particularly with Facebook and Instagram. Start by creating a Facebook business page and adding all the content you can about your services. Of course, upload your video and image gallery; many prospective clients will check your work here as well as on Instagram. Also, set up a call to action and messenger so you can generate leads directly from your page. Encourage your clients to share their images on their accounts and to tag your business. This is free exposure that shows your work to everyone in their networks. Stay active by posting updates about your business, personal photos, and tips/info on hiring event photographers. As a photographer, you have a lot of interesting content that makes your pages worth following. This is a good way to increase brand awareness so people will look you up by name when they need a photographer. You can target potential clients with considerable precision using Facebook ads. For example, you can target people based on life events such as planning a wedding, a pregnancy, or graduation. You can also target demographics or interests like outdoor sports or travel. Use LinkedIn if you do professional headshots or other types of commercial photos. This is more of a professional networking platform, so it works well if that’s your target audience. An active social media presence is a great way to expose your brand and show-off some of your best work. It’s worth the time to add content to these platforms. Photographers, with their visual medium, have an advantage over other businesses when it comes to persuading potential clients. Your gallery of work speaks for itself. But people want to know what you’re like to work with. To discover that they’ll turn to online reviews. Online reviews have a lot of persuasive power today. A positive profile is like money in the bank, while a negative profile can literally put you out of business. Like your gallery, reviews stem from the quality of your work. When you take great images and keep your promises, strong reviews come naturally. If you cut corners, it creates an ongoing drag on your marketing. You’ll want to make sure you’re getting positive reviews on Google, Facebook, and Top Rated Local. To make sure you get some reviews, make follow up calls or send an email follow up requesting a review. Learn how to get more positive reviews. Also, add testimonial content to your website, preferably where you pair positive comments with the work you did for that client. Photographers need to network. In a certain way, you – as the photographer – are the product. The more people you meet, the more referral work you can get. Start by developing relationships with other business people who you can have a referral relationship with. Salons, school staff, ministers, event planners, florists, local bands/entertainers, fashion retailers, and event venue owners should all be on your list. Refer business their way and they’ll reciprocate. Get involved in your community through Meetup groups, the chamber of commerce, and local co-working spaces. Shake a lot of hands and hand out business cards. Networking can be a lot of work and not everyone takes to it naturally, but in this line of work you want people to know you by name. As a photographer, you may run a small business, but that doesn’t mean you have to keep track of clients and marketing on a notepad. Take advantage of tools like Marketing 360® to manage the marketing channels we’ve discussed. Keep your marketing timely and personalized with our free CRM software and Email marketing software. Stay ahead of changes in digital technology by tapping into the expertise of our marketing executives. And while you’re at it, get a free website design done by a professional designer. It’s not easy to make it as an independent photographer. Entry into this profession doesn’t take a lot, but staying in business beyond your first year does. Talent, equipment, and passion get you started. But it’s marketing that will turn your passion into a lucrative career. Find top rated photographers near me.